As many organizations experience, fundraiser turnover is high—in fact, the Chronicle of Philanthropy reports that typical length of time a fundraiser stays in his/her role is 16 months. And what’s more, the direct and indirect costs of finding a replacement are $127,650 (if not higher, when you factor in the impact that losing your fundraiser has on maintaining consistency with your donor relationships). At DUNCH, we’re often approached to help identify and hire an organization’s next Chief Development Officer. Essentially, we’re hired to be matchmakers. We get to know what makes the organization unique (the mission, the people, the culture, the needs) and then go out to the market to find that right “match.” But finding someone who can fill the role is only half of the job. Finding someone who will stay in the job requires the organization to do some self-reflection. The organization’s leadership must evaluate itself: do we have realistic expectations about this working relationship? What is our culture and what kind of people could succeed here? How do we feel about fundraising ourselves? Would someone even want to work with us? As my mother often said to me, “You’re never going to find someone the way you’re behaving; your expectations are too high.” Listen to your mother! The first step is to come to terms with the fact that hiring a fundraiser is not the magic bullet you hope. There is simply no single person who can come into your organization with a fresh Rolodex of donors who are all prepared to throw money at your cause and solve all of your organization’s fundraising problems. Magical thinking never made an operating budget break even. It takes real work. The next step is to understand that successful fundraising is a shared responsibility. It’s a team sport. You don’t get to appoint your fundraiser and then check out. For an organization to be successful, a strong culture of philanthropy must exist. Author Cynthia Gibson painted a clear picture of this for the Haas, Jr. Fund in Beyond Fundraising: What Does it Mean to Build a Culture of Philanthropy? Remember, as the Executive Director or Board Member, you’re also responsible for raising funds. In fact, everyone at your organization must wear this hat. In a time of transition, it’s a great moment to reassess the level of support your team truly provides your fundraisers, and consider how you can improve this support system. A third step in organizational self-reflection: take stock of your current work environment to ensure that it is a healthy, motivating place for your employees. Employee burnout is a real thing—especially with fundraisers. When there are unrealistic expectations, too much work to be done, and not enough resources, a person can only last so long. 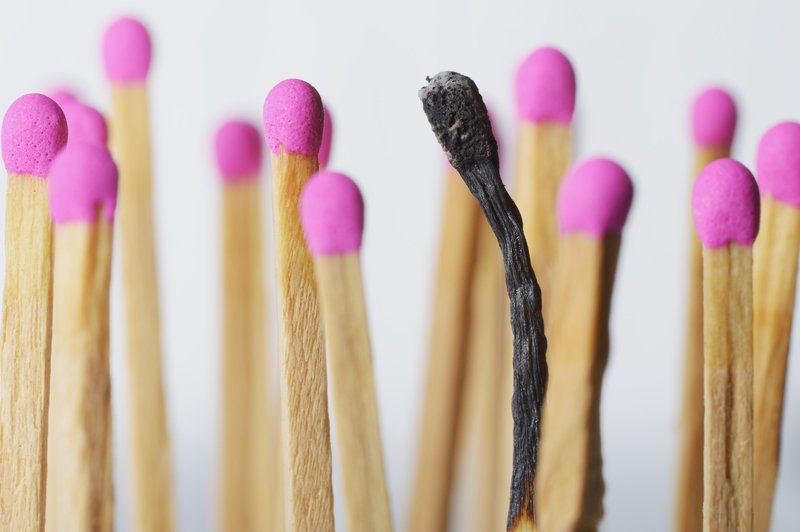 Watch for Warning Signs: The signs of burnout are obvious in some people, but subtle in others. Keep an eye out for tiredness, lack of focus, depressed mood, hostility, and expressions of hopelessness. Regularly check in with team members to gauge their physical, cognitive, and emotional energy levels. Set Limits on Workloads: Ensure that assignments and deadlines don’t exceed the collective capacity of your team. Encourage colleagues to set sensible limits on work hours, and set an example by keeping reasonable hours yourself. Make sure your team members take their full vacation time. Boost Employee Control: Clarify your expectations and grant flexibility on where, when, and how people get their work done. Advocate for the resources your team needs to perform. Create uninterrupted time for people to make progress on important tasks. Make Recognition Meaningful: Regularly highlight wins and successes, even small ones. Recognize and reward people for helping others. Note the positive impact of your team’s work on others. Emphasize Learning: Routinely ask team members about their development goals and what resources are required to achieve them. Make their progress possible. Share what you’re learning and how you’re doing it. Facilitate Mutual Support: Talk regularly about your team’s progress toward shared goals. At team meetings, ask what assistance people need and can offer one another. Be open about asking for and offering help. Build Community: Don’t tolerate incivility on your team. Set an example for respectful, compassionate behavior toward others. Encourage people to share what’s happening in their lives outside of work.